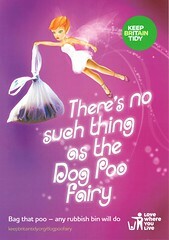 There is a growing problem in the village with dog mess that is not being cleared up by some dog owners. Clearly this is being caused by an irresponsible few as the majority of dog owners are very conscientious when it comes to bagging and binning! It goes without saying that dog mess is not only offensive, but it can lead to an infection – toxocarlasis – if it enters the human system. It seems that this problem is not limited to South Marston – an Essex council has resorted to spraying the dog mess bright orange to shock owners into cleaning up after their pets! If you have any ideas as to how we can improve the situation, please contact Amanda at the Tower and Tap – we will share the pick of the suggestions over the coming months! Sadly Nightingale wood has become a no-go area for many parents with young children due to the irresponsible few. It is not even as if the offending mess is only on the verge of pathway (which is unpleasant enough), it is left in the middle of the paths and also around some of the play equipment. Most mess is within 100 yards of the car park where bins are. Some has been left where deposited, right alongside the bin. But we also need to start to enforce the fines that are available through current bye-laws. Can our community support officers make some suggestions?